We have fun DJ’s and disc jockeys. 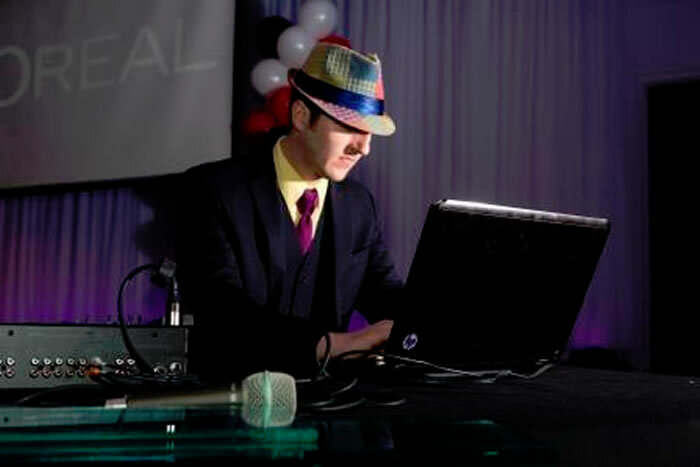 Remember our DJ’s know how to run a casino night, can play games not just music with your guests and eat fire! We have great disc jockeys who will not only get people out on the dance floor but they will also run disc jockey games, give away chips and run your raffles. Any background, any theme, any size groups. Green screen photography is way better than a traditional photo booth. We offer instant color prints or unlimited website downloads! Faster than a photo booth with accessories for fun memories! The Cincinnati Circus (our parent company) brought aerial acrobatics and performances to Cincinnati 10 years ago and they are still the leader out-performing all other groups and companies in the Cincinnati Area. Our aerial acrobats are beautiful, graceful and inspiring. They perform throughout the midwest and even throughout the US. Our aerialists perform on tissues, fabric, aerial silks, Lyra, Spanish Web, aerial hoops and much, much more! Our professional aerialists are also the only in the area who excel at performing other skills like fire performing, hand balancing, aerial bartending & and trapeze. If you’re looking to have a blowout casino party, consider adding aerial performers to your event – they will absolutely blow you away!! Let your drinks come to you with this innovative and exciting way to serve champagne! 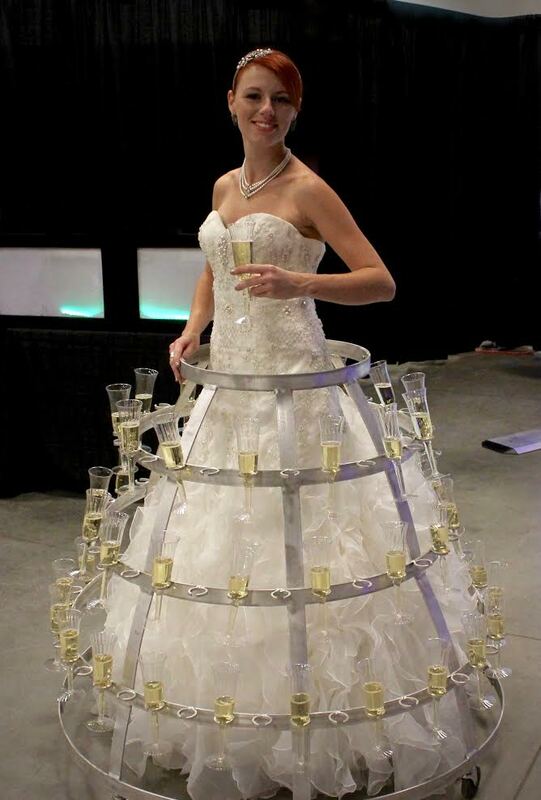 Our champagne dress are well made and can hold 140 flutes. Allow us to bring your bubbly drink to you! 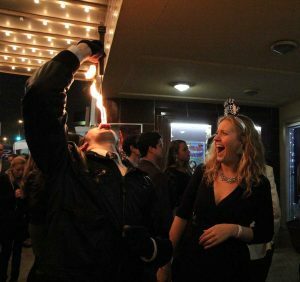 Get your guests excited before they even step foot inside with our fire performers! They can stand outside and greet your guest while also eating fire or juggling it! 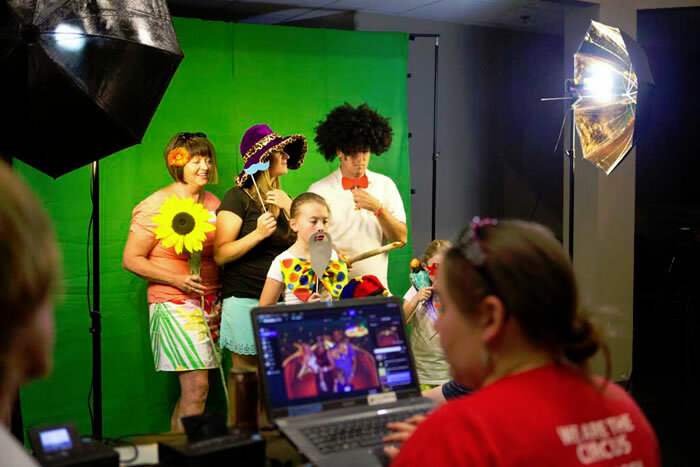 Let there never be a dull moment at your next company event! Add some art to your event with our living statues. From firefighter to soccer player, Marilyn Monroe to a viking we have anything you could be looking for. Our statues stand absolutely still until the perfect time to move and amazing your guests! Don’t want to stop the party for a show but still want a magical night? No problem with our strolling magicians, they’ll bring the magic right to you! 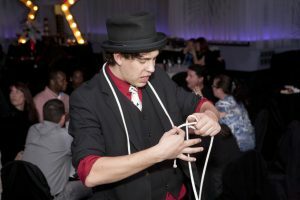 Whether you’re enjoying some refreshments or watching people play games, our magicians can come right to you and blow you and your guest’s minds! We can see an amazing party in your future and it’s all because you hired a fortune teller for your event! Wow your guests with this very special option that we offer. Our fortune tellers can read tarot cards and palms! Call us and see what your future holds! Want something that will really wow your guests? A strolling table is exactly what you need! Our personable and happy entertainers can hand out chips on their table, giving your party something extra. Don’t set your glass down on her table though, it might just walk away! Call Cincinnati Casino Nights to tell our event planning staff about your party or event!